NFPA 70-2017 – NFPA 70 National Electrical Code, 2017 edition was released in late 2016, updating the many guidelines for the installation of electrical equipment in accordance with the National Electrical Code (NEC) of the United States. The alterations made to this document are numerous, having applications in a variety of industries and activities. Among these are changes made to the specifications for solar photovoltaic (PV) system installations, which are addressed in Article 690. The solar industry, while relatively new, has been growing at an immensely rapid rate, due to the encouragement of its advancement brought on by the establishment and extension of the Solar Investment Tax Credit (ITC), a tax credit equal to 40% the cost of a solar array installation, along with other financial incentives from the government. In 2015 alone, there was over 7,000 MW of new solar photovoltaic capacity installed, and over 200,000 people were employed in the United States solar industry. Due to its fast progression, there have been continuous advancements made to PV technology and procedures. Article 690 of NFPA 70-2017 reflects this, as it contains many changes for the installation of photovoltaic systems. The earliest significant changes to this section are in Part II Circuit Requirements. This specifies the maximum voltage of two PV system DC circuits under the following environments: “PV system dc circuits on or in one- and two-family dwellings shall be permitted to have a maximum voltage of 600 volts or less”, and “PV system dc circuits on or in other types of buildings shall be permitted to have a maximum voltage of 1000 volts or less.” Additional changes are for the maximum voltage for photovoltaic source and output circuits, DC-to-DC converter source and output circuits, single DC-to-DC converter, two or more series connected DC-to-DC converters, bipolar source and output currents. 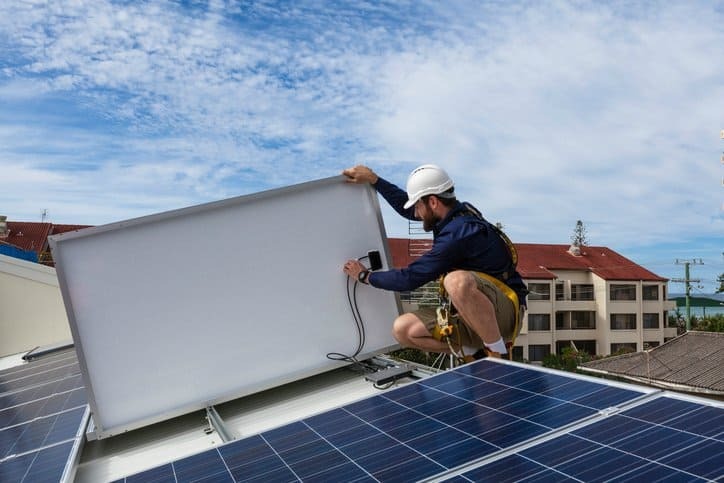 Part IV Wiring Methods contains changes made for the identification of PV system circuit conductors, stating that the means of identification should be completed by separate color coding, marking tape, tagging, or other approved means. The changes in Part V Grounding and Bonding are numerous, with many clauses in the section of the NFPA 70-2017 being completely different in the new edition of the National Electrical Code. For grounding configurations, two options have been added: 2-wire PV arrays with one functional grounded conductor and bipolar PV arrays according to 690.7(C) with a functional ground reference (center tap). This section also marks changes to the clauses for ground-fault detection, isolating faulting currents, point of system grounding connection, equipment grounding and bonding, photovoltaic module mounting systems and devices, and equipment secured to grounded metal supports. Part VII Connection to Other Sources and Part VIII Energy Storage Systems are virtually entirely different in NFPA 70-2017 than they were in the 2014 edition of the code. These changes call for the PV system to be installed in accordance with the guidelines established by other sections of the standard. All of these changes, along with any others present to Article 690 of NFPA 70-2017, can be clearly identified by the user, since they are shaded in gray on the document. NFPA 70-2017 – NFPA 70 National Electrical Code, 2017 edition is available on the ANSI Webstore. 1. National Fire Protection Association (NFPA), NFPA 70-2017: NFPA 70 National Electrical Code, 2017 edition (Quincy: NFPA, 2016), 563. 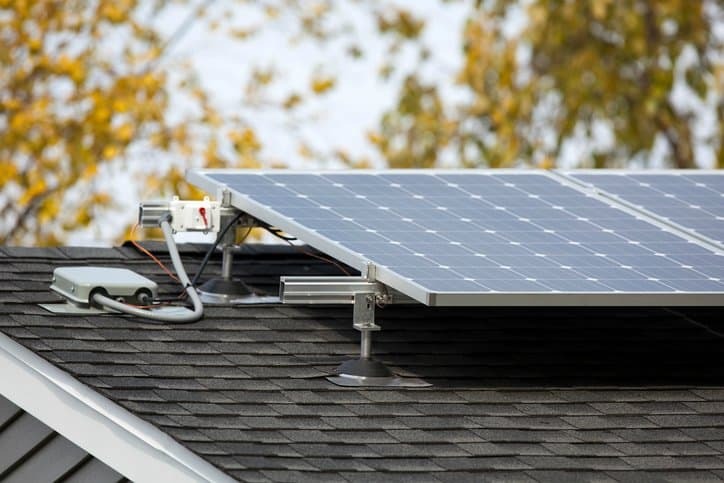 Residential Solar Panels Florida are highly used across the world for heating building and homes, heating water bodies like swimming pools, etc. cooking for large and of course, for producing electricity. Solar panels have solar cells that are also popularly called PV cells (photovoltaic cells)that absorb the sun rays and convert them further into usable electricity. Solar panels are available in different shapes and size that suits every budget size and can be easily used for both commercial purposes and solar panels for homes.